What if you Like a +1 of a Like? 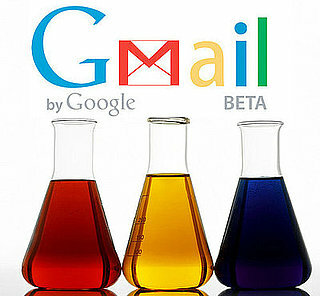 Google Labs has been around for a while, starting with certain features in Gmail and now all around Google’s website in general. For those who are unfamiliar, Google Labs is when Google tests out new ideas for certain users, but do not release it to the general public yet. For instance, when Gmail was first released, it was only available to those who were invited by another user. There are still certain features that Labs has in Gmail right now—my personal favorite being “Undo Send.” However, they have released a new Lab which is strikingly similar to Facebook’s infamous “Like” button. The latest Google Lab is called “+1.” This will enable people to “+1” any link that they find when searching for something—it is the equivalent of the “Like,” but for Google. When I look at most websites that host blogs and editorials, I find that on the sidebar there is a button to tweet the article (along with the number of tweets the article currently has) and a button to Like it on Facebook. With the addition of the +1, there will soon be the ability to +1 any article as well. Beit T’Shuvah is a residential addiction treatment center, congregation, and an educational institute where life is celebrated and every soul matters. This entry was posted in Brands, Current Events, Facebook, Google, Online Commerce, Social Networking, Twitter and tagged BTS Communications, Business, Copywriting, Facebook, Freedom of speech, Gmail, Google, Message, Online Communities, Search Engines, Searching, trending, Trending and Popularity, Twitter, Undo Send, Virtual reality, Web search engine, YouTube. Bookmark the permalink.